Morningside Recovery believes that couples seeking recovery should have the option to experience the process of achieving an addiction free life, together. We are happy to announce that we now offer the nation’s first addiction and mental health inpatient treatment for couples: Hand in Hand Recovery. Aimed with couples in mind, Hand in Hand includes addiction detoxification and inpatient program to help couples overcome their addiction issues. We can also treat any underlying mental health disorders that may exist. We offer an innovative mix of individualized therapy, couples counseling and the choice of several unique treatment options at our state-of-the-art detox and inpatient facility in Orange County, CA. Morningside aims to help couples struggling with addiction to experience recovery ‘hand in hand’ while building a stronger, healthier foundation together. Addiction and undiagnosed mental health disorders can have a harmful, significant impact on couples. When a couple is fighting for their sobriety, they are often presented with unique challenges that can “make or break” the relationship and can cause harm to the individuals involved. Substance abuse can often debilitate a couples’ healthy communication, positive growth and the overall longevity of the relationship. Often, it is seen that couples who struggle with addiction also struggle with domestic violence issues, financial strain, enabling one another in their addiction, unhealthy codependency and even divorce. Commonly, substance abuse treatment centers focus on one individual’s recovery, rather than helping to facilitate the recovery of a couple that struggles with drug addiction. Morningside strives to help all couples who are seeking recovery; we are inclusive to every couple including those in the LGBTQ community. By offering the nation’s most comprehensive treatment to couples, we believe that we can help foster drug-free relationships that are centered on healthier choices, positive growth and unity. Our Hand in Hand Recovery Program aims to create a space where couples can feel welcomed, safe and comfortable. In many cases, the first step towards a successful treatment program is detoxification. Detox is the process of ridding your body of toxins. Couples may require medically supervised detox from alcohol, opiates, benzodiazepines and other illicit substances at Morningside Recovery’s Residential Pavilion in Orange County, CA. Throughout this process, our licensed healthcare practitioners will work with each resident to alleviate withdrawal symptoms, provide high-quality medically-supervised care and make each resident feel safe and comfortable. Couples can share this first step towards recovery together, providing one another with encouragement and comfort, in a healthy environment. Morningside Recovery specializes in dual-diagnosis treatment. Dual-diagnosis is the process of treating a resident’s addiction, as well as any co-occurring mental health disorders that may exist, by approaching each with equal emphasis. Mental health disorders such as depression, anxiety, bipolar disorder and post-traumatic stress disorder could be hiding under the surface of any resident’s addiction. We realize the importance of treating both the addiction and any underlying disorders that may influence it. By utilizing a dual-diagnosis approach, Morningside aims for couples to be able to understand their addiction. As well, we want to properly treat any under-lying mental health disorders occurring. Both the addiction and any mental health disorders can then be treated simultaneously. Along with this, the dual-diagnosis approach allows our expert staff to treat mental health conditions that may have otherwise gone undiagnosed. The dual-diagnosis process can assist couples in developing a better understanding of one another, and themselves, while moving forward in their recovery process. Addiction can wreak havoc on a relationship — whether through unhealthy communication, codependency, enabling one another in substance abuse, domestic violence or divorce — and it can happen to any couple struggling with substance abuse. 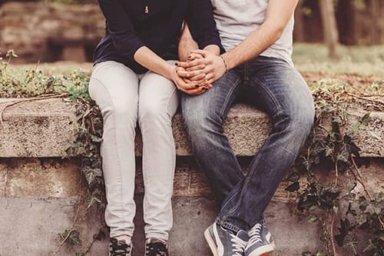 Hand in Hand Recovery Program aims to combat these unique challenges by providing couples with a licensed professional that helps to address relational issues, foster understanding and create a safe space for any couple to open up. This safe space allows couples to address their substance abuse issues while also strengthening their bond as a whole. Morningside’s couples counseling process allows couples to better understand one another, create healthy communication and work together to achieve lasting sobriety. 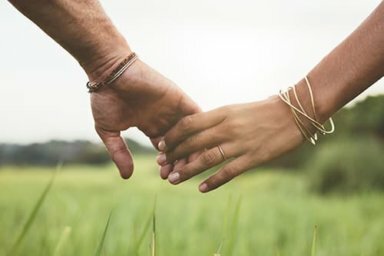 Hand in Hand Recovery aims to help couples achieve recovery, however, we cannot help the couple as a whole without addressing the two people individually. At Morningside, we’ve been helping people achieve lasting recovery for over 15 years. Our licensed professionals will help each resident to better understand their addiction or underlying mental health disorder, provide useful skills to better manage interpersonal conflict and guide them to make healthier, drug-free choices. The individualized therapy process allows residents to open up and work through the recovery process in a healthy, safe manner. Here at Morningside, we offer several unique treatment options that are available to all of our residents. Along with the care offered through the Hand in Hand Recovery program, couples will have access to all of Morningside’s treatment options. We provide residents with the choice of participating in twelve-step, non-12 step, holistic, experimental, evidence-based, adventure program and LGBTQ-inclusive treatment. Couples have the ability to choose which treatment option may work best for them, individually, or together. Morningside Recovery is also a pet-friendly facility. This means that couples with pets can bring their furry-friend (or friends) along to treatment. At Morningside, we see pets as being positive, uplifting and beneficial to the treatment process. Pets are able to boost mood, offer companionship and provide a sense of purpose. Contact with pets can also alleviate certain mental health disorders. Pets can also help those struggling with addiction. Pets can occupy individuals while also reducing a fixation on drug cravings. There are no breed restrictions or size restrictions. Couples counseling is a vital part of the recovery process. Hand in Hand Recovery Program gives couples the ability to experience recovery together in a healthy, positive way. Although taking the first step toward achieving recovery is often difficult, Morningside Recovery’s professional staff strives to help residents feel comfortable and safe. Call today at 855-416-8202 to learn more about our couples counseling options.